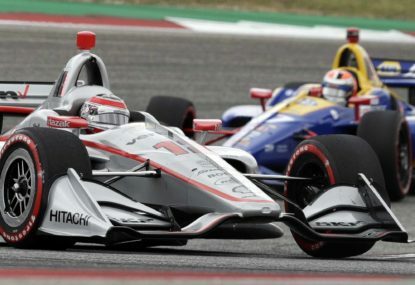 If you lick your finger and hold it into the wind it’ll confirm that the winds are blowing strong in Formula One’s silly season, and this year the conditions are perfect for speculation with a chance of scuttlebutt. 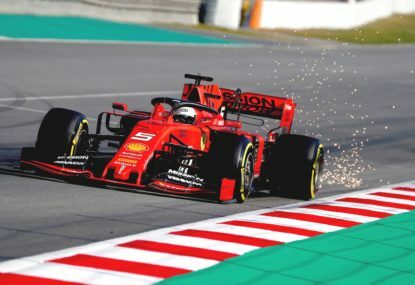 The common perception is that Ferrari’s Kimi Raikkonen is on the outer and seen as a spent force (although, I’ve outlined on The Roar why I don’t believe this is so), so if we assume the top brass are measuring up a possible replacement who would be top of their wish list? Valtteri Bottas is a prime contender, partly because his Williams contact expires at the end of this season and partly because he can transform his car into a rocket on wheels. Recent Le Mans 24 Hour winner Nico Hulkenberg has managed to reinvigorate his reputation with the front running teams, but in recent weeks Daniel Ricciardo’s name has been whispered as a potential replacement for Raikkonen, a move that would reunite him with former teammate Sebastian Vettel for the 2016 season. Ricciardo has conceded that his contract with Red Bull is “pretty tight” and changing teams “is not as easy as saying I’ll go to Ferrari and that is that”. 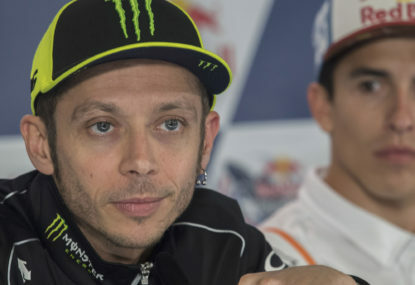 Despite his contractual obligations in Formula One things can and always do change, so he must be dreaming of greener pastures elsewhere in the paddock. One factor to consider is the future of Renault and Red Bull, with both threatening to pull the plug on Formula One and allow their achievements in the sport gurgle down the drain. It’s hardly surprising amidst this uncertainty that performance gains have been few and far between. Red Bull withdrawing from Formula One would be a tremendous loss for the sport, and although it’s more likely that Renault would be the party to walk away, you don’t have to look any further than the woes of Mclaren and Honda to see the disruption that changing engine suppliers can cause. Red Bull’s sudden demise seems to have caught everyone within the team by surprise, and so far no amount of man-hours have stemmed the tide. On the other hand Ricciardo, the only non-Mercedes race winner in 2014, proved that his race preparation was second to none. Last season he would often praise Vettel’s work ethic, suggesting that he learnt a lot from the world champion about what is takes to reach the peak of your abilities. Although fortune played a part in each of Ricciardo’s victories, it’s difficult to believe that he fluked all three race wins. That’d be equivalent to buying a box of fortune cookies from the supermarket and finding a winning lottery ticket inside every one. 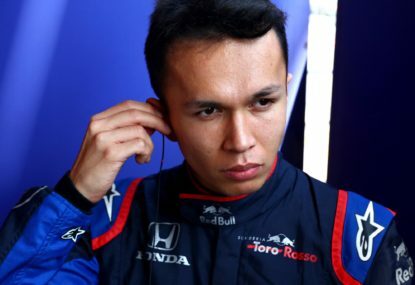 If he decides to slog it out at Red Bull and bargain on their form returning, Daniel is risking the possibility that his stature as a future world champion will dissolve as he battles in the mid-field, or even worse running out of seats at a front running team altogether if Red Bull go under. 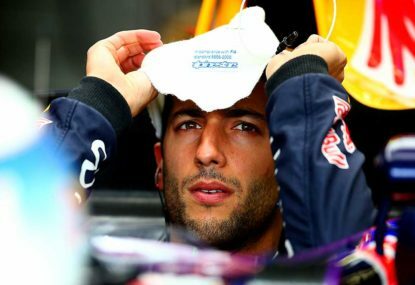 Joining Vettel at Ferrari, you would expect Ricciardo to have the mental advantage. I mean, if he can join the Red Bull squad and demolish the reigning world champion, especially the one who broke Mark Webber’s spirit so irreparably, then surely it can happen again. 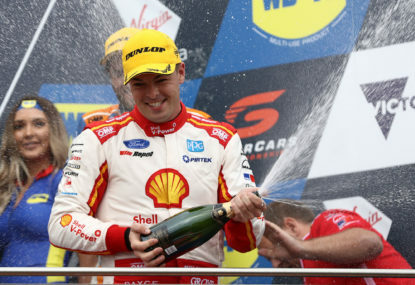 But things may not be so simple for Daniel at Ferrari. Vettel would already have a full year of racing under his belt, he would be in a prominent position for requesting changes to the make-up of the 2016 car and most importantly, Vettel has four very prominent world title trophies on his mantle piece in an environment that, even more than Red Bull, has a vampiric thirst for success. Mark Webber wrote in his recent autobiography about how close he came to signing with Ferrari himself in 2013. Ultimately he decided against signing the deal because, as he put it, “my gut was telling me that Ferrari wasn’t right for me”. The counter offer from Red Bull meant another year at a successful team that was familiar and, most importantly, “it was also nice to feel a little bit wanted”. Considering that each race for Red Bull must seem like a stab in the guts for Daniel, he is now so full of holes that I’m surprised that when he eats linguini it doesn’t slide straight out of his stomach. Ironically his gut may well be telling him that jumping into bed with the ‘pasta-makers’ at Ferrari is exactly what he needs, along with a switch to ravioli. Clearly Scuderia knows how to turn on the charm, and Daniel has echoed Webber’s sentiments that it’s “nice to be recognised”. but is he again willing to take on the man who reduced a formidable adversary like Mark Webber to jelly? 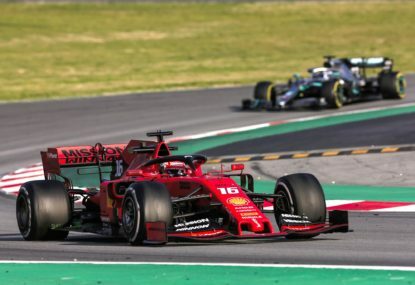 To state the bleeding obvious, to become a world champion you need to take on and beat the best drivers in the world, and I’m sure when the visors go down Daniel won’t shy away from a battle with Vettel irrespective of the colour of his overalls.